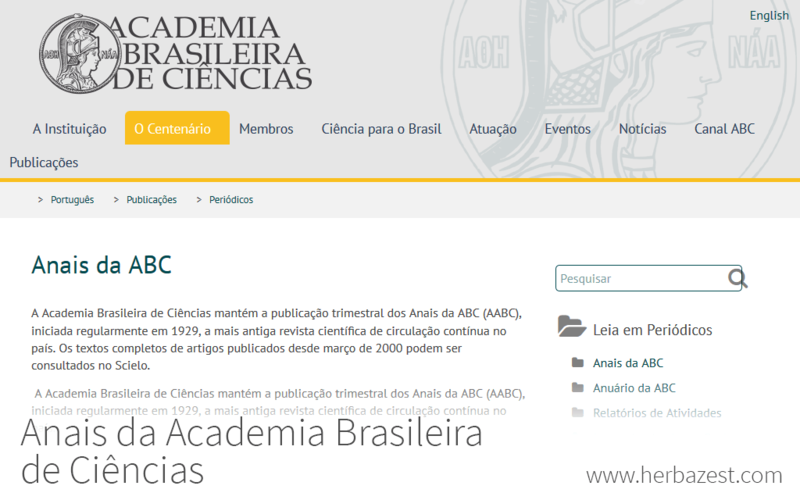 Anais da Academia Brasileira de Ciências, which translates as the Annals of the Brazilian Academy of Science, is a peer-reviewed journal established in 1929. It covers a wide range of scientific topics, including biomedicine, health, agriculture, chemistry, and more. The journal is published four times a year and is currently edited by Alexander Kellner. Abstracts can be found in English on PubMed and BIOSIS, among other databases. The Academia Brasileira de Ciências is a Brazilian non-governmental organization that was founded in 1916. Its mission to contribute to society through scientific research and improve the state of public health in the country. It has over 700 members.